On the footsteps of our heroes! Start on the ramparts of Murten where, thanks to didactic panels, you will understand how Adrian de Bubenberg and his troops defeated the Burgundians on June 22nd, 1476. Continue to the lake, which you follow up to Muntelier. Once you reach the top of the Aderahubel, a breathtaking view of the Vully and the Jura imposes itself on you. 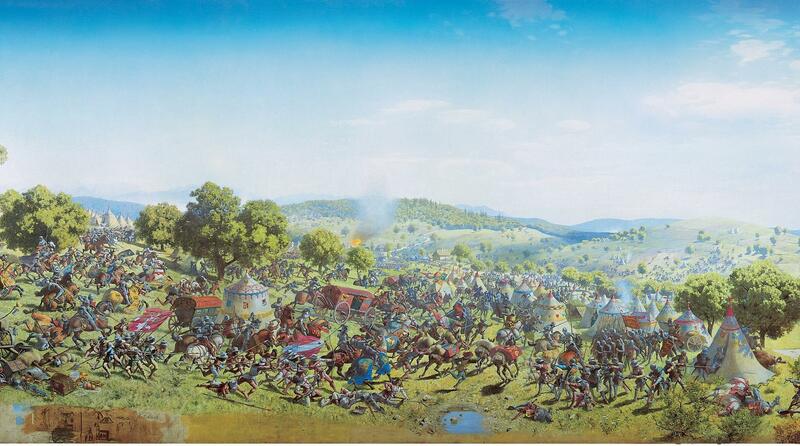 After Burg, contemplate the vast plateau towards the East, where the fighting between the Confederates and the Burgundian troops took place. The Bois Domingue, which was home to Charles le Téméraire's camp, offers a magnificent view of Murten. 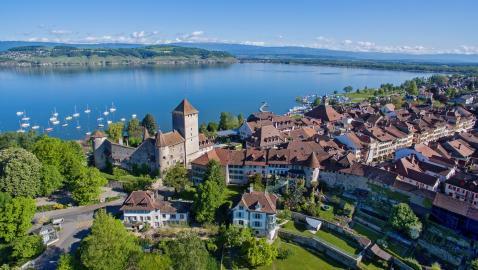 At the end of this journey through time, a visit to the Museum Murten, where a multimedia show spectacularly showcases the events of this memorable battle, is a must. The advice: In Meyriez, you can admire an 18-meters-high obelisk, built in 1822 by the canton of Fribourg in memory of the Battle of Murten.